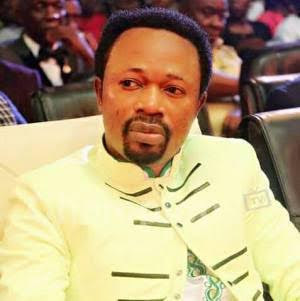 Popular Abuja prophet, Prophet Joshua Iginla who rightly predicted the unscheduled medical trip of President Buhari early this year has warned the presidency again not to politicise his health based on what God revealed to him and he also enjoined his followers to fast and pray along for him on Friday. The Abuja based clergy and shepherd in charge of Champions Royal Assembly re-emphasised this issue on Sunday while issuing international prophetic advice. It would be recalled that he was the only clergy who accurately gave a prophetic message to President Buhari in March 2017 while he was in London for his medical vacation that he saw him going back again impromptu if he ignored his warning. And which occurred as the president went back again on Sunday, May 7, 2017 for another round of medical treatment. “We are going to spend our time praying for the president of Nigeria. Hallelujah….I have a prophetic message for his excellency, the president of this country. No president ever become the president without the hand of God, either permissive will or perfect will. So when God put anyone there, it is for a purpose. I’m just a prophet with a message and what is the message? The Lord said take care of your health, don’t allow people around you to use your head to play politics. In my vision, i saw some people preparing with army boots and uniform saying take your bag and start travelling and i saw some group of doctors with whites saying don’t wear this boots, lets be through with you. It’s a prophetic advice, treat yourself, listen to the medical advice and don’t hurry home because what is the need of coming home and rushing back? It is the rushing back that is the major reason God is saying we should pray for you and i should tell you. God has brought you this far, the seat is there and nobody will take it from you; it is only the living that can rule Nigeria and not the dead. Wait until there is a medical clearance (that is what God said i should tell you.) Do not allow politicians to use your head to play politics, only the living can lead Nigeria. Interestingly, Iginla, in his 73 prophetic insights for the year, had said that the President would travel out for an unscheduled health checkup, but this time, it will be more serious. True to his words, the 8th prophecy out of his 73 point 2017 predictions came to pass when the President went for an unscheduled medical trip in january 2017 where he spent 51 days against the initial 10 day visit.